Despite being steeped in gross-fruitcake tradition, great measures are being taken to ensure that the upcoming royal wedding will take full advantage of every technological convenience of the digital age. Facebook will update us, iTunes will sell the soundtrack, and Anderson Cooper's holographic form will hover above the proceedings like a ghostly guardian angel. 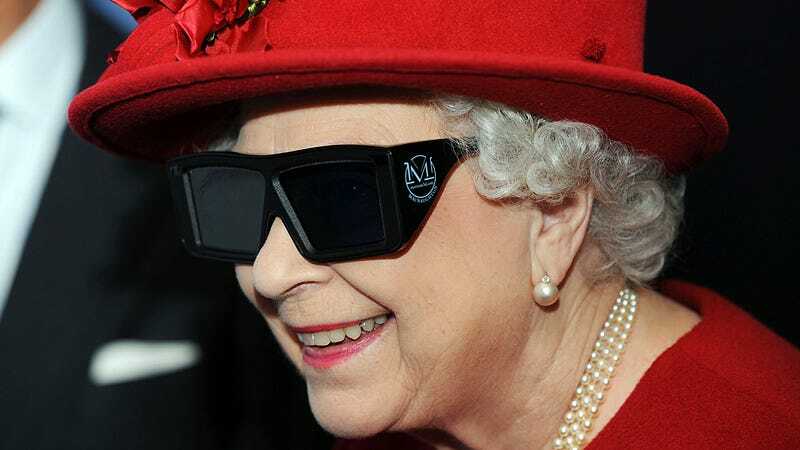 But when it comes to 3-D, that will be the extent of it, as the Royal Family has declined an offer to broadcast the nuptials stereoscopically. "I know you have all become increasingly enthusiastic about 3-D and I'm sorry that this will come as a disappointment," a spokesman wrote in a letter to Sky and other broadcasters, which was quoted in the British newspaper The Guardian. "I hope you feel the process we have gone through will be helpful for other live events and of course we do not rule out facilitating 3-D at some point in the future."